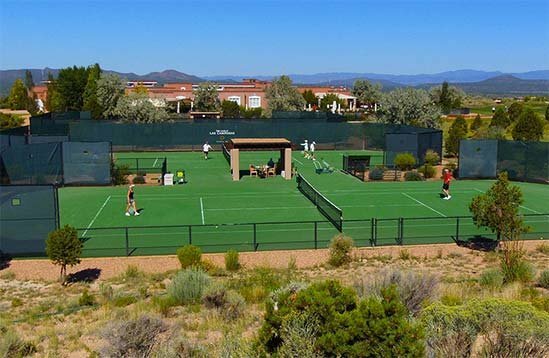 Tennis is an integral part of the Las Campanas lifestyle. The Tennis Facility consists of four existing courts, two clay and two hard surface with the potential for future expansion. The program continues to thrive as membership grows, with active women’s and men’s leagues as well as tennis ladders. A full-time tennis pro oversees day-to-day operations, organizes competitions and special events and provides individual and group instruction for all age groups and levels of expertise. Tennis Lessons are available to members on an individual or group basis. Call The Spa & Tennis Center for details.